Learn unique and interesting ways to support your full time rv adventure. Amazon Camper Force, RV Armor, 31 Gifts. Whether you’re looking for a long term income stream, a flexible income or a quick cash flow, one of these opportunities may be just the right fit for you. 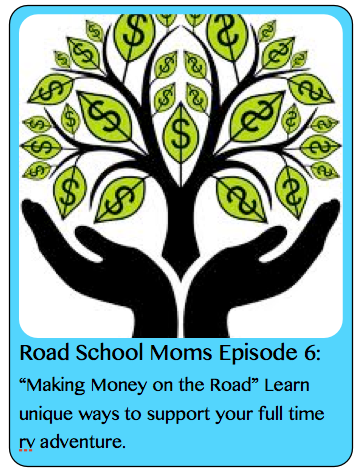 In this episode, Kimberly and Mary Beth are joined by three full time rvers who each make a living on their own terms. While, Lee Thaxton runs www.rv-armor.com and teaches handy types the art of roof sealing so they can service their own territories. Lastly, Misty Lively joins us to recount her experience as an Amazon camperforce employee for the 2013 season. Was it a positive experience and would she do it again? Click the replay button to find out!